From discounts to free shipping, businesses are always looking for ways to encourage their customers to buy more. Now, they can add computer vision to that list. Here at Clarifai, we’ve spoken about how computer vision can make things easier for “internal customers,” helping them to be much more efficient. Below, I’ll outline how computer vision can make the customer journey far smoother for external customers, and spur them into making purchases. 1. Improve the shopping experience. For online marketplaces with millions of listings coming in daily, clutter is a real issue for both buyers and sellers as no matter how impressive or unique a vendor’s product offerings may be, it won’t matter if customers can’t find them. Even the most expansive of online marketplaces have limits on what they allow users to sell on their platforms. Many such businesses prohibit the sale of animals, body parts and offensive material. Depending on their vertical, they may also prohibit the sale of certain products, like makeup or underwear. Still, that doesn’t stop users from making these listings, crowding out listings that show permitted items. Some marketplaces are even seeing customers misusing their service, creating listings for a product they want to buy, in the hopes that potential sellers will reach out to them. While there may be a potential business opportunity for someone there, most marketplaces want to enable users to find items they want to buy by showing what vendors have to sell, and these other posts make that much more difficult. With computer vision, all such posts can be filtered out before they’re posted, even where thousands of listings are uploaded to the platform daily. By eliminating these irrelevant listings, companies can keep their marketplaces clutter free, so customers will only see posts from valid vendors. They can also use computer vision to filter out low-resolution images that are less likely to result in sales. A less cluttered marketplace with high-quality images that show the products being sold in a good light will keep customers on the platform longer, giving them more opportunity to buy. Additionally, a better user experience makes vendors and customers more likely to return to the marketplace for future sales and purchases. 2. Make better product recommendations. 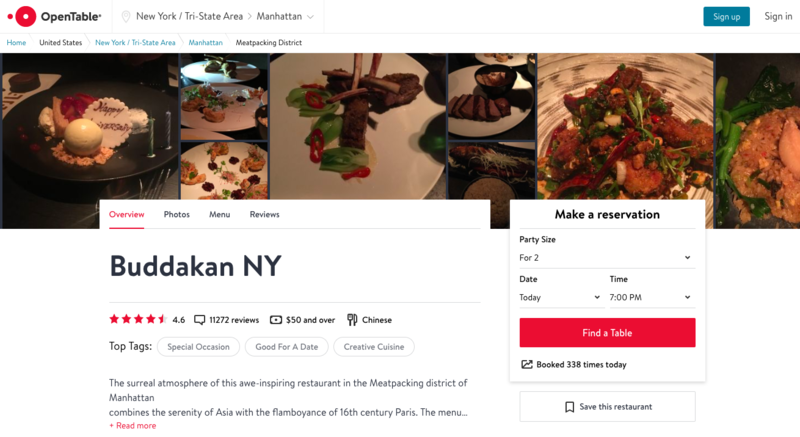 Using computer vision to automatically, properly, and comprehensively tag the visual content associated with listings may also allow for easier cross-selling and more personalized experiences. 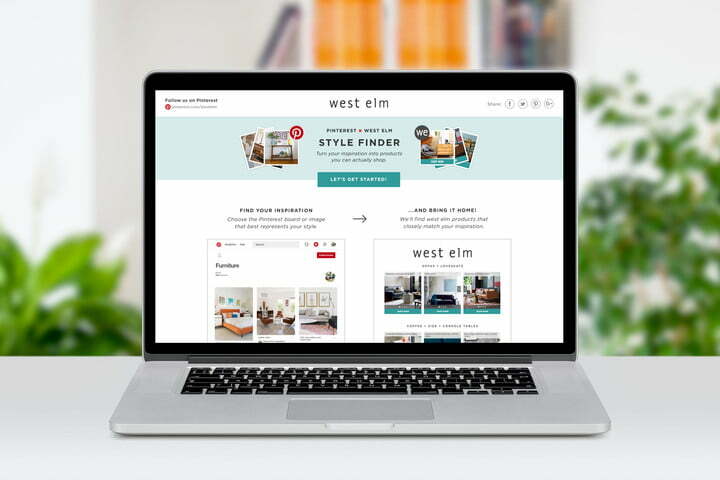 For instance, West Elm’s Pinterest Style Finder allows users to link out to their home decor Pinterest boards to find furnishings that match their desired tastes. With Clarifai’s computer vision technology, they were able to automatically group products by type (e.g. sofas versus rugs) and style (e.g. art deco versus modern). The tool “reads” the user’s Pinterest board to understand their aesthetic and finds the best matches among the items available for sale from West Elm. Further, because the tool shows an array of furnishings, from chairs and sofas to wall mirrors, art and side tables, all of which fit into the desired aesthetic, there is the potential for customers to buy complementary items they did not previously think of, but which will match well with their ideal design. 3. Show the right customers the right customers at the right time. With CV AI, businesses can now achieve the ultimate goal of paid advertising campaigns: having their products reach the right customers at just the right time. MRM/McCann, one of the leading digital marketing agencies in the world, used Clarifai’s technology to build a solution that would show users the relevant banner ads at just the right time. The client was Vattenfall, an energy company that also offers smart home solutions, and the advertising outlet was Hemnet, a real estate website. MRM/McCann wanted to create a smart advertising campaign based on what images people were looking at in real time. Still, with more than two million unique visitors browsing Hemnet every week to view images of interior and exterior designs for to find inspiration or make purchases and thousands of new images posted daily, MRM/McCann needed a way to automate the process of “seeing” what visitors saw. The solution was CV AI, and the result were banner ads that could adapt their messages in real-time based on what the visitor was observing. For instance, a user viewing a picture of a home’s exterior might see a banner ad for Vattenfall’s smart video surveillance items. If the user clicked through to Vattenfall’s site, they would then see their full range of smart security components, potentially buying other items, like motion sensors and panic buttons. With the number of options consumers now have, the more effort required to find a product to make a purchase, the less likely they are to do so. With computer vision, you can simplify the buying process for them. Many companies, for example, have used computer vision’s visual search capabilities to build snap and search functionalities onto their platforms that allow consumers to take pictures of items they like and find similar items they can purchase, in seconds. Pinterest’s “snap and search” function allows users to take pictures of clothing items or furniture (among other things) they like and quickly find pins showing similar items from various merchants that connect to the site. With the site’s “buyable pins,” customers can add these pins from various vendors to one shopping bag, allowing consumers to consolidate desired purchases across retailers. 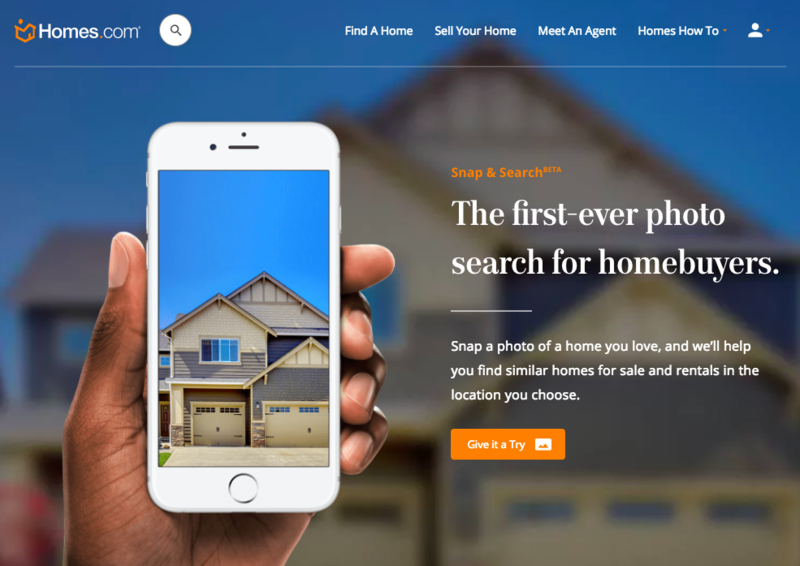 Homes.com was able to build a similar functionality themselves by using Clarifai’s technology. Their app enables potential homeowners to search for their dream home based on a picture of a house they admire. All users need to do is take an image showing a house’s exterior, choose their desired location, and the app can find similar-looking homes in the town or area of their choice within Homes.com’s database. Visual search can be used by a myriad of businesses to create experiences that are unique to their verticals. A hardware retailer could allow consumers to upload an image of a garden and advise buyers on what landscaping materials they could use to build a similar garden in their backyard and where to buy them. A cosmetics company could allow users to upload pictures of someone with a makeup look they want to achieve and direct them to products in the retailer’s inventory (e.g. lipstick, eyeshadow or foundation) that could be used to attain a similar look. With the right team and the necessary data in place, the possibilities are almost endless. 5. Learn more about customer needs. As we shared above, West Elm’s Style Finder application allows users to search for home decor based on style. However, it also helps the company to identify gaps in their inventory when consumers don’t find items that fit their desired aesthetic. With this information, West Elm can determine what designs are missing from their catalogue and add them. As such, the next customer with that decor idea in mind will be able to find an array of items available for purchase. With computer vision’s flexibility, businesses from varying verticals and industries have been able to build solutions that not only attract consumers from their target markets but keep those consumers engaged and satisfied. And so, more willing and likely to make purchases. Download our guide and find out how computer vision can generate more revenue for your business.